Located adjacent to the visitor information desk, the award-winning Museum Shop offers a range of gifts, home wares, books, toys, jewellery and artisan objects which showcase the museum’s collections and heritage. Purchases and enquiries can also be made over the phone on (03) 6165 7070, 10:00 am - 4.00 pm, Tuesday – Sunday or via email at sales.enquiries@tmag.tas.gov.au. Shop opening hours: 10:00 am - 4:00 pm daily (26 December - 31 March) and 10:00 am - 4:00 pm Tuesday – Sunday (1 April - 24 December). Closed Good Friday, ANZAC Day and Christmas Day. 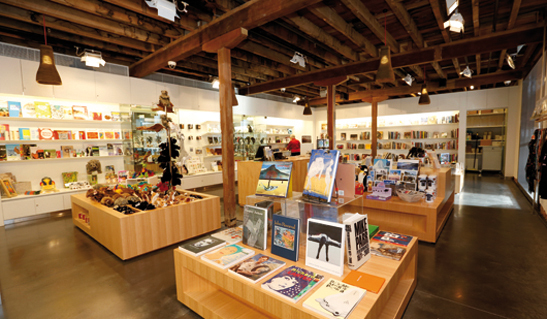 All proceeds from wholesale purchases are used to assist with publications, museum programs and acquisitions. This page was last modified on 4th October 2018.